Music is a time machine like no other artform. Songs (and albums) can emotionally transport us to a time long since gone and they do so more readily than any painting or movie. This is especially true of our formative years (read: younger) when our minds were more malleable and listening to music felt closer to a religious experience. This is where, to borrow from The Hold Steady, songs got scratched into our souls. In rarer instances, an album can ziplock an entire period in time. Through the simple act of listening we can unpack and reanimate the feelings of the past. For me, 2012 was drenched in McLusky. 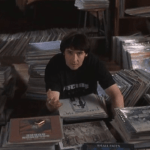 Specifically, “To Hell With Good Intentions” – arguably the greatest song of all time. For an emotional run through my first years in Australia (2001 – 2005), I’d pull up Death Cab For Cutie’s Transatlanticism or I’m Wide Awake It’s Morning by Bright Eyes. If I want to feel the cold, grey of Christmas Day 1995, Pink Floyd’s The Final Cut or The Stone Roses’ Second Coming. Capable of plugging me back into my teenage self in an instant are The The’s Infected, The Name Of This Band Is Talking Heads live 2LP and, the most effective time machine of all, Prefab Sprout’s Steve McQueen. Paddy McAloon’s songs have always been wistful but with Steve McQueen produced by Thomas Dolby they take on a heavier melancholy. Listening to rollicking opener “Faron Young”, from my mind’s eye I can picture the long shadows of an autumnal middle England at dusk. “The sunset makes a fence out of a forest” paints in the motion blur as I gaze out over brown fields from a car window. With Prefab Sprout piping hot through headphones thirty years after the fact, I can still picture that family car journey as if it were yesterday. “Goodbye Lucille #1” recalls my first high school crush whilst “Moving The River”, for a fleeting moment, lets me feel the naivety of adolescence once again, if only for a moment. My first copy of Steve McQueen wasn’t a CD or cassette but a vinyl record. 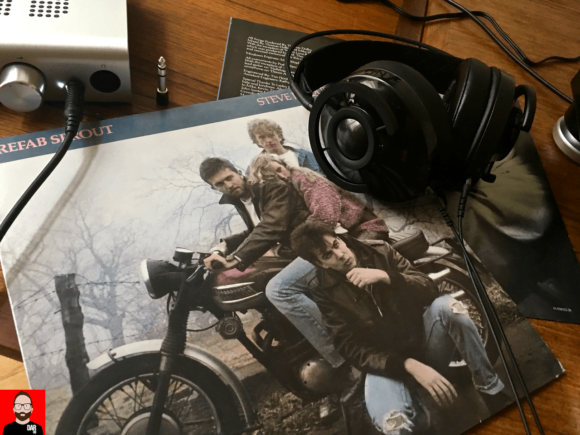 In the late 80s, I’d listen to Prefab Sprout on my Dad’s Dual turntable connected to a Sansui amplifier that drove Philips headphones or B&W loudspeakers in turn. I spent endless hours dubbing vinyl to cassette for portable Walkman listening. Not a Sony, you understand, but some fifteen quid knock-off from a mail order catalogue. Nowadays my Walkman is the real deal but the removable media is a microSD card full of FLAC files, not a cassette tape. Alas, Prefab Spout-fuelled time travel doesn’t come so easily from digital audio. Dragging and dropping a FLAC rip of Steve McQueen onto the microSD card, inserting it into the Sony NW-ZX2’s underbelly (and hooking in a pair of Noble Audio Katana IEMs) permits greater physical portability but brings with it less metaphysical mobility. Time to honour an important fact: vinyl is Steve McQueen’s original language. With my (Kitchenware Records) UK original sitting in Melbourne storage, October’s Berlin record fair threw up an unblemished Dutch pressing for €8. Back at home the next day, I paw the sleeve as my teenage self once did. Setting the album’s reflective tone, John Warwick’s front cover art shows the band gathered on and around a Triumph motorcycle with a frosty winter background. No lyrics to read, I scan the inner jacket for other clues to these songs’ construction…just as my teenage self once did. For lighter relief, I read the production credits…you guessed it, just as my teenage self once did. Nostalgia is a powerful player. Having a 12” x 12” object to hold as I listen only amplifies the enjoyment. Something to file away once the listening is done. This is how collections start. My German vinyl haul, already a full milk crate strong, features the aforementioned The The and Talking Heads albums as well as a bunch of 90s techno. I enjoy the hunt & kill, carrying home my prize, tipping the record from its sleeve, placing it on the turntable, donning a pair of headphones and dropping the needle for twenty minutes of private investigations and, sometimes, if I’m lucky, a little time travel. It remains a point of pride that I haven’t bent my music tastes to fit my role as audio journalist.. I listen to more Richard Thompson than I used to but also more Giant Sand and Thin White Rope. The latter’s swansong, The Ruby Sea, still takes me right back to the autumn/winter of 1991 and university life. Their Moonhead LP delivers a blast of summer 1992. What has changed is the hardware with which I listen. Right now, a pair of AudioQuest’s NightOwl Carbon headphones driven by a Schiit Jotunheim amplifier complete with phono module. The Pioneer PLX-500 turntable (€336) is a stand-in whilst a modded Technics SL-1200 comes together in Zu Audio’s Utah factory. The two are not entirely unrelated. The Pioneer’s design is a direct descendant of the SL-1200, most likely manufactured by China’s Hanpin to Pioneer’s specifications. Catch up on the introduction here. I’ll confess to being a sucker for these DJ-type ‘tables: their solidity and build quality connote a sense of value that low-mass turntables, like those made by Pro-Ject and Rega, must work harder to attain. Furthermore, SL-1200 clones like the Pioneer don’t demand the end-user lift off the platter and move the belt when moving from, say, The The’s 45rpm Slow Train To Dawn 12” to the 33rpm Infected LP. On the PLX-500, buttons for 33rpm, 45rpm and 78rpm sit right next to the Start/Stop button. Direct experience with both direct- and belt-drive models has told me that the former, all other things being equal, offer greater speed stability and therefore less wow and flutter than the latter. The PLX-500’s strobe light keeps us constantly informed of the servo-controlled motor’s ability to keep time. The second reason for choosing this particular Pioneer is its factory-fitted cartridge (make and model unknown). 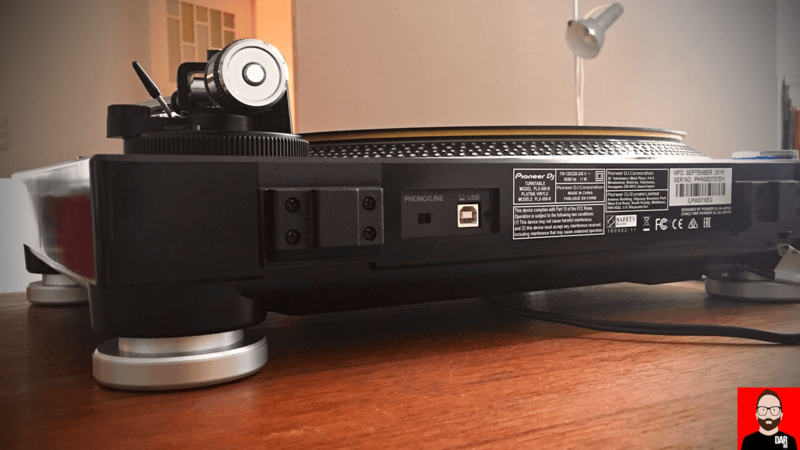 This makes out-of-the-box setup as close to plug-n-play as it gets: unpack the separately-wrapped platter and place it carefully onto the bearing, push the counterweight onto the back of the tonearm and turn it to adjust the tracking weight to 3 – 4 grams. It doesn’t hurt to double-check this with scales (as I did) before setting the anti-skate to match the tracking weight (as instructed by the manual). Before all of that, a spirit level guided the the PLX-500’s adjustable feet to ensure the whole shebang was level. It is just me or do the majority of mass market turntable owners skip out on this all-important step? Pioneer’s manual states that the arm’s lowest position (‘0’) is optimal for the factory-fitted cartridge. 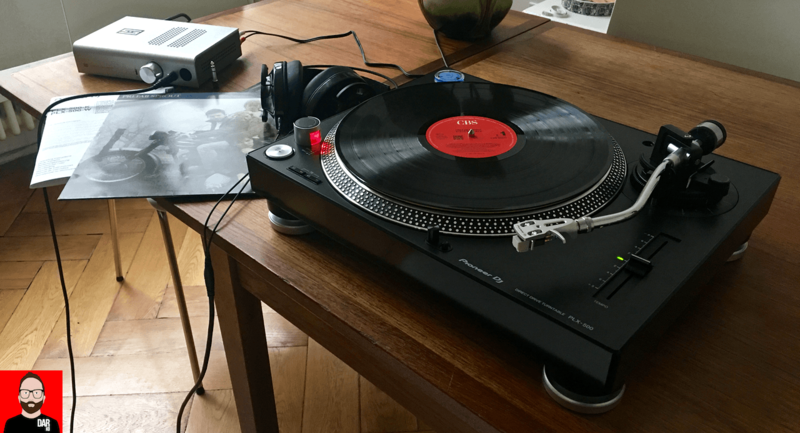 I looked at the SRA from the side and immediately thought more experienced turntablists might disagree – that the arm could sit lower still – but this is what Pioneer recommend and is therefore what 99% of PLX-500 owners will live with; I wanted to hear precisely that. Thirdly, the PLX-500’s switchable in-built phono stage means we don’t have to worry about sourcing an external solution. Another box, more money. I skipped out on the Jotunheim’s phono module and fed it a line-level signal direct from the Pioneer’s twin RCA output. The PLX-500’s rear-panel also sports a USB port for handing over ones and zeroes to a connected PC or Mac. Here the Pioneer ‘table applies signal level lift and RIAA curve correction before an in-built (and probably fairly rudimentary) A/D converter converts the analogue signal to digital. Readers wanting to compare this needle drop to its digital equivalent will need the original CD (rip) and not the 2007 remaster. On Tidal or Spotify, look for it double-packed with follow-up album From Langley Park To Memphis. Hot dog! Maybe this PLX-500 needledrop sounds better than the CD. Maybe it doesn’t. Feel free to leave a constructive comment below. But ask yourself this: how many Pioneer owners will be conducting this same A/B. Not many, I’d wager. And perhaps that’s the point. That PLX-500 owners are simply happy to have a decent turntable with which to play their record collection. One that likely offers better than average sound quality, especially when we stop to consider what that average turntable might look like. 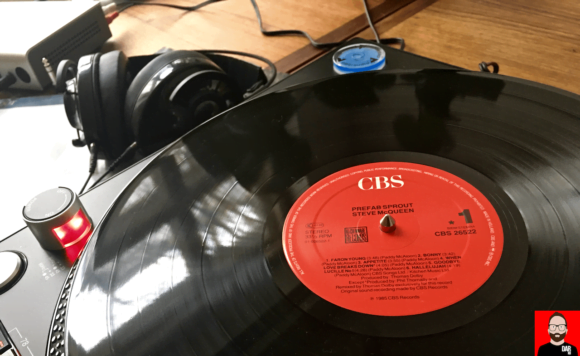 According to data provided by the Consumer Technology Association (CTA) to Stereophile, Americans bought 1,610,000 (US$120m worth of) turntables in the first half of 2016. Do the maths: that’s a meagre US$75 per turntable. 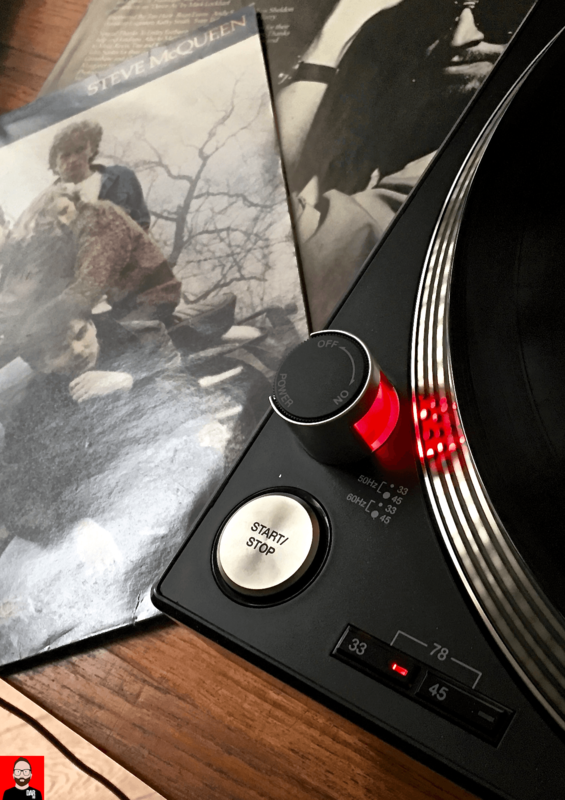 A figure that would suggest most vinyl collectors put basic functionality – the ability to commit needle to groove and watch the record spin whilst reading the liner notes and sipping on a little something – above things like dynamics, bass weight and tonality. Think it sounds too cheap to be the average? According to Michael Fremer’s always thorough Analog Planet, a US$50 Jensen all-in-one turntable was Amazon.com’s top-selling audio product for Christmas 2015. Perhaps for mass market buyers, like yours truly, vinyl playback is initially about far, far more than the pursuit of better sound. 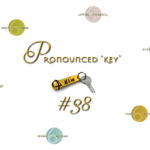 Previous article KIH #38 – Chips Ahoy! 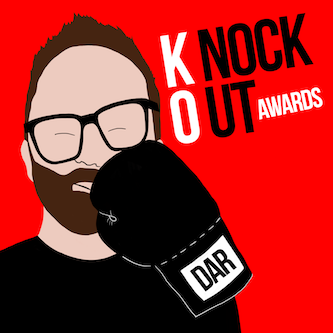 Next article Everyone wins with Roon, DAR! truly remarkable piece of audio/music writing John!!! Great post John. Love the look of the Pioneer but wish it resembles the built quality of the vintage made in Japan Pioneer PL – 600 to some degree. Still looking for one with US voltage. Cheers! Oh, Prefab Sprout! One of the first bands I went to see live, off the back of a ticket won on local radio. Bristol Bierkeller, sometime in 1984*. Support band were The Church, who were altogether more rockin’, but disappeared soon after. Some wag in the audience shouted out, “Where’s the beard, Paddy?” To which he replied, quick as a flash, “With the bike!”. He and the rest of the band went on to play a thoughtful set to an appreciative audience. I’ve loved their music ever since. So thank you Paddy for the songs and thank you John for a good piece of writing. I’m looking forward to comparing the needle drops with my CD later. *In my mind I’m sure it was 1984, but Steve McQueen came out in ’85 so maybe then? Lovely intro to the Pioneer – would love to hear about your results in a follow up with the Ortofon Concorde Nightclub MKII cart (€126) you mentioned some posts ago. Am deeply interested to see how pro gear can translate into home listening enjoyment. All the best! That’s precisely where I’m headed next! Hi – could i ask what you’re getting done to your Technics 1200, ie “modded” ? I’ve just had one of mine serviced/refurbed for the 1st time (25 yrs old) by a guy in the UK (www.technics-service.co.uk) including replacement of the phono cable with a technics gold plated one and it is sounding great. I’ve still got another one that I could get refurbed and interested what someone with your level of knowledge on these things is getting done. “I have found a few small tricks to make the tonearm perform, that really was the weak part of the deck for me. Culled parts that spec out as new or nearly new, turntable bearing being critical. Clean and lube main bearing with <<0 weight, Alysin oil with nano tungsten disulfide infusion. Modify tonearm gamble junction: epoxy in place the counterweight stud to tee housing, infuse epoxy with nano super-balls and carbon nanotubes (good sheer strength/damping mix). Coat tonearm tube inside and out: 1mill PU base coat with nano sphere ceramics and carbon—PU damps, nano materials dramatically increase strength. Resulting color is gray. Rewire tonearm and leadout wire. 4 foot recommended leadout length. Clean and lube tonearm gimbal bearings, with the same <<0 weight, Alysin oil with nano tungsten disulfide infusion. Clean and grease tonearm counterweight with silicon based acoustic damping sticky grease. Clean and grease tonearm counterweight dial indicator with acoustic damping grease. Clean and grease all moving parts within the tonearm housing assembly, Teflon grease on VTA threads and acoustic damping grease on all other parts and springs. Clean and grease cue-light housing and mechanisms, more damping grease to take the ring out. Clean and grease power switch mechanism, more damping grease. Nextel coated top plate (colors can be black matte, terracotta matte, brown matte, white matte, gray matte) Removal of pitch control slider and “erasing” of pitch slider pocket and visuals on deck top. (Pitch slider is not necessary unless you are trying to beat match and do DJ tricks.) Modification of internal transformer to reduce transformer induces mechanical noise. Transformer is well shielded and no mods there are necessary. Rewired and shielded AC power leads. Modified chassis and circuit grounding. Modified internal interconnecting cable to reduce RF. New power cable (Event Mk.II PC Light) with underside disconnect." Hello, I did a comparison of the file that came from the lp and the original recording (1985) of the tracks offered by Apple Music. First I level matched the files as good as possible by adjusting volume on the amplifier. In short: the file ripped from lp sounded inferior to me in every way. I could hear rumble interfering with the lowest bass notes, sometimes faint clicks and pops were heard. The sound was less dynamic and spacious, instruments and singers sounded somewhat artificial and revealed less of their character (making it harder to distinguish the sound of the banjo for example). But I still think Pioneer did a good job at such a low price. BTW: I really enjoyed listening to Prefab Sprout, it was a rediscovery for me. Thanks Arjen – your findings largely mirror my own. A follow-up post with another Pioneer-fuelled vinyl rip will be going up tomorrow. It’ll be interesting to hear your thoughts on that one too. What’s concerning here is that a vinyl rip (once again) contradicts the “all vinyl playback is awesome” message endlessly propagated by the mainstream press. The PLX-500 is more costly and very likely superior to the average US-bought turntable so what does that say about the sound quality enjoyed by the vast majority of vinyl enthusiasts, those who cannot afford more than a few hundred bucks for turntable, cart and phono stage? And yes, Prefab Sprout are a long-time love of mine. Hello John, I investigated the matter of dynamics a little bit further by measuring the dynamic range of the needle drop track and the Apple Music track with TT DR Offline meter 1.1. I cut off the first 3 seconds of both files because there is no musical information in those 3 seconds and analysed the song ‘Faron Young’ for 40 seconds. To my surprise the needle drop measured a DR of 12 and the Apple track a DR of 10. In the manual of TT DR Offline an explanation is offered for how the DR values are obtained. It is stated that only the loudest 20% of 10000 measurements of every 3 seconds is used to determine average loudness of loud passages. DR=top 20 RMS minus peak. By measuring this way limiting, clipping and compression of the signal have a big impact on the DR. In Audacity I noticed that the Apple track sometimes clips. I don’t know if limiting and compression have been applied to the track. According to this measuring method the needle drop is more dynamic but subjectively it is not. So for me this tool does not tell everything and I am inclined to trust my ears. Is the tool using an industry standard? Are there several rivalling standards? I don’t know. “In order to determine the official DR value, a song or entire album (16 bit, 44.1 kHz wave format) is scanned. A histogram (loudness distribution diagram) is created with a resolution of 0.01 dB. The RMS – an established loudness measurement standard – is determined by gathering approximately 10,000 pieces of loudness information within a time span of 3 seconds (dB/RMS). From this result, only the loudest 20% is used for determining the average loudness of the loud passages. At the same time, the loudest peak is determined. OK listened to the tracks and compared to the Spotify/Tidal Premium Stream on our WRS MM2 – mini desktop monitors (upcoming 2017) together with sealed 300watt subwoofer and with Project Maia DS (really great small desktop amp/DAC). The needle drop lacks ultimate dynamics and bass extension but is enjoyable and has a great vinyl ease – really good listen! The Spotify is as usual bit grainy and coarse – not much fun for extended listen at higher volumes – for background listening will suffice I guess. Tidal Premium has similar ease to the needle drop – although not there yet however has great clarity, definition and dynamics. The bass is outstanding through Tidal Premium/Audirvana. But it shows – at least to our ears that the inexpensive Pioneer does rather well and is preferable to Spotify Premium!!! Thanks John!!! This was an entertaining exercise!!! I agree that the Pioneer has the ease but wouldn’t you say it falls behind Spotify streams on separation, dynamics, bass depth and overall clarity? Yes totally agree – as per above comment that the needle drop lacks ultimate dynamics and bass extension and yes it lacks the clarity of both Tidal/Audirvana or Spotify. Tidal/Audirvana is however superior to Spotify in every aspect and the needle drop while lacking the above is still preferable to Spotify which sounds bit grainy and grating. To put it in different terms Spotify is like an over sharpened, over saturated picture while the needle drop is less vivid and sharp yet perfectly enjoyable. Less is more in this regard??? Here’s the thing for me: I’d take the Spotify (grainy treble n all) over the congealed and tack-flat dynamics of the needle-drop. The former’s shortcomings are far fewer. John perhaps it comes down to the gear used for playback. I simply prefer your needle drop to Spotify. Tidal/Audirvana is in another league, clearly superior to both. Great exercise nevertheless and I am thankful for it. Cheers mate! See you in Vegas 2017? I’m playing back with AQ NightOwl headphones, single-ended from a Schiit Jotunheim amp. Agree 100% that Tidal/Audirvana+ is in another league altogether. Love that album and your article! This takes me back to my arrival in London for graduate school. For this lonely Yank (it took a while to establish a social network) this album and Billy Bragg’s “Talking to the Taxman About Poetry” were a spiritual salve delivered via my Walkman. Thought you might like this memory. A mate of mine from Croydon was a friend since childhood with Dave Woodhead who played the horns on TTTTAP. I met him when the three of us went for a Chinese in Soho (aah-woo!). That must’ve been a most special evening. I think yr mate Woodhead went on to play with Billy Bragg (among others). My other musical brush with fame was meeting Morrissey’s mum after the Smiths concert at the Palladium in London (which was the gig that appears as the album “Rank”). She was very shy and dressed in black. I told her she has a very talented son. I once met Richard Oakes’ Mum in the audience of a Suede gig at London Roundhouse. They were touring Coming Up and she was just standing alone with her Tesco shopping bag. Hi John – nice write up cheers. like you I’m a big fan of direct drive turntables- especially the vintage Japanese ones. I was lucky enough to trade a well tempered simplex ( sound was decent but the build quality is absolute shite TBH) with the venerable Yamaha GT-2000 (Gigantic & Tremendous) build quality is stellar along with the fantastic dynamics etc. if you have the chance to pick one of these turntables up they are really special I would wager not far off a Pioneer P3 yet without the huge price tag. That Prefab Sprout Steve McQueen album cover i remember like yesterday looking at it in my teens, but for some reason never bought a copy. I’ll try and have a listen online this week if it’s to my taste I’ll order a copy from discogs. The Audio Technica AT-LP5 looks like a good value to me too.. No fancy USB for convenient ripping though.. Being a kid in the 80’s and newly exposed to college and underground radio, ‘Appetite’ and ‘Goodbye Lucille #1’ are real earworms, and later on ‘Cars and Girls’.. I feel the same with The Go Betweens IMO. Music to kickback to after bikes, skateboards, and Descendents and DRI. Everyone wins with Roon, DAR!